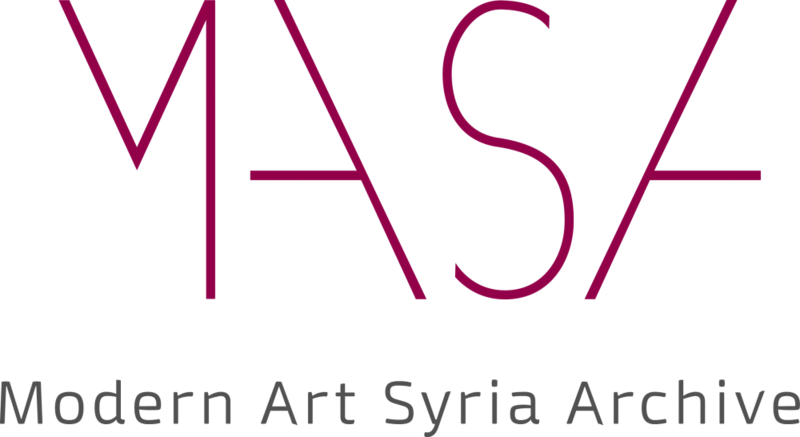 We are excited to announce the launch of the Modern Art of Syria Archive (MASA) project, which we hope, when complete, will provide a much-needed, internationally accessible, free, online archive of Syrian art. MASA will be a digital platform, through which users can peruse and study images of artworks, as well as a treasure trove of high res scans of artist correspondence, photographs, articles, essays, press clippings, exhibition documentation and more. MASA is an extensive digitisation project. The aim is to collate materials both from within the Atassi Foundation’s collection as well as from international partner institutions, organisations and scholars. We are also extremely lucky to be working with Dr Silvia Naef of the University of Geneva, who is our MASA Academic Research Director. Dr Naef will be working closely with MASA Head Researcher Dr Nagham Hudaifa alongside a team of researchers and archivists. Yes! As with all of our activities, this is a non-profit initiative, and as such, are looking for volunteers, researchers and academics who would like to get involved. Or if you have materials, time or money you would like to donate to the archive – please get in touch! Since the start of the war in Syria in 2011, artists have emigrated, records have been lost and collections disseminated. The fate of many private and public collections in Syria, as well as the records that accompany them, are largely unknown, putting Syria’s modern art heritage at risk. Even more tragically, international interest in Syrian art is scant. At its core, MASA is a cultural preservation project. We hope it will encourage international academic and non-academic interest in Syrian art and create a much-needed resource for anybody wishing to learn more about the subject. Most importantly, it will digitise and preserve many rare documents, which would otherwise be largely inaccessible. How do I check it out?